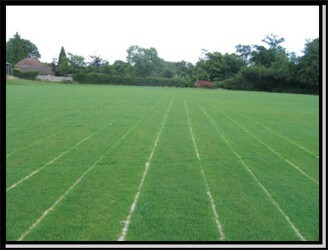 We would be delighted to quote for the complete installation of your turf. 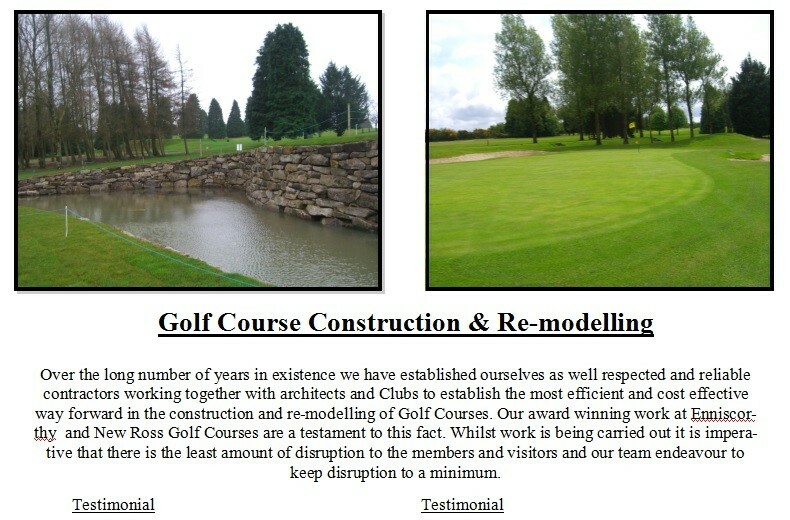 We have the knowledge, experience and equipment to provide the complete professional service, including ground preparation. 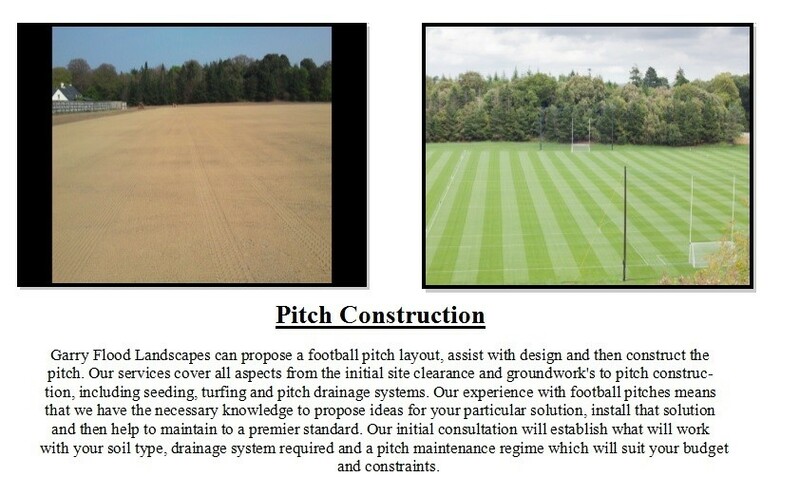 If you wish to carry out the ground preparation yourself, please note the following guidelines to ensure that the finished product is top quality. 1. 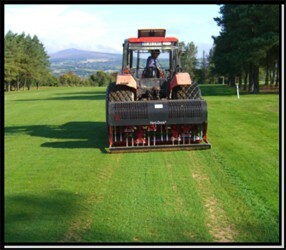 Remove old turf by cutting under the grass with a spade of turf stripping machine. 2. 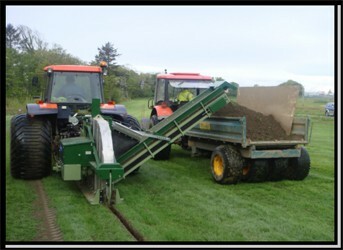 Turn over the soil to a depth of a few centimetres by digging or using a rotovater. 3. Ensure the area is free of any stones, weeds or old turf. 4. Test the soil for any nutrient deficiency. Apply a pre-turfing fertilizer and rake into soil. 5. Continue raking to produce a smooth, even surface. Keep the surface about 2cm below any existing grass area, driveway or path. 6. Water the prepared area well in summer months to settle the soil and provide a moist base for new turf. 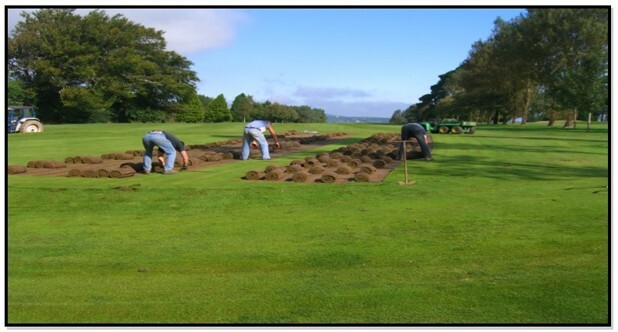 The area should be dry and workable during turf laying. 7. Install turf immediately on delivery. 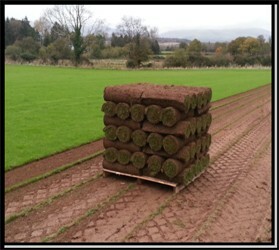 Turf is a living plant and requires ground contact and moisture to sur-vive.